How to purchase links safely and effectively? How to make the link profile look natural? Links should be placed gradually (about 5 links per week during 3-6 months). So by the end of the 3d month you should have about 60 links. Links should be targeted to different pages. It looks more natural when you have a lot of links which are pointing to inner pages of your website, but not homepage only. The majority of your links should come from low SB Rank pages. Learn more about how to get backlinks from pages with various SB Rank. Use various keywords. The more anchor texts you use, the more natural it will look. Try using brand name. long tail keywords, URLs, long tail in combination with URL or brand. Read more detailed instructions 21 Steps to Get Top 10 Rankings on Google very carefully. Is it possible to recover (reactivate) a link? Sometimes it happens that the link is not prolonged because of lack of money on balance or cancelled by accident. To restore inactive link from link profile, simply click on “restore” icon in ‘My Links’ interface and confirm the action. The system will purchase the link on the same page with the same parameters automatically. Also, there is another option, which can be used. You can select the same links and purchase them again. The easiest way to find the backlink page is search for it using URL filter in Buy Links interface. Do I have to purchase only relevant links? It is recommended to purchase relevant links because they are more effective and Google’s TrustRank is much higher for such links. Though if there is a lack of relevant links you can purchase links from irrelevant websites also. What should I do if I received a notification from Google about artificial links? a big number of links are built on the websites which belong to the same network. Due to the fact that there are multiple triggers involved the worst thing you can do is to start removing links purchased at LinksManagement. Learn why link removal is the worst option. In order to recover your rankings on Google, you need to make your link building profile look natural again. Learn how to make your link building profile look natural to Google. What should I do if my rankings dropped? You cancelled a bunch of links. In this case, just continue purchasing new links gradually. Some the websites removed references to your website without letting you know. Unnatural link building speed. You cannot get a solid backlink profile with many backlinks overnight. Keep the moderate pace of acquiring new links. Our gradual purchase mode is the best option that prevents you from overdoing your link building. It can be content from other website, in this case use Copyscape to find websites which have your content on their pages. You can have duplicated pages on your own website. Sometimes it happens that CMS like WordPress, Joomla, Drupal and others create pages with duplicated content. Go to your Google Search Concole (make sure you create the account earlier) and go to Optimization → HTML Improvements and check the number of Duplicate meta descriptions and Duplicated Title Tags. How many links should I buy per week? We recommend purchasing maximum 5-10 links a week with different SB Ranks (mostly SB1-SB3). Learn more about 21 Steps to Get Ranked Top 10 on Google. What is a natural keyword spreading? Keyword spreading and anchor text distribution is the same thing – click here to learn more about Natural Anchor Text Distribution. What will happen if the SB Rank of the purchased backlink changes? SB0 links (as well as SB1-SB3 links) are necessary in order to make your backlink profile look natural to Google. The SB Rank decrease can be temporary because of the changing of site quality and it’s authority. There are also other factors that making SB Rank not stable. Is it better to purchase links on websites which are based in my country? It is recommended to purchase links based in the same country where you are trying to promote your website. For instance, if you want your website to appear on the 1st page of Google.co.uk, then it is recommended to buy links from the United Kingdom. The links from other countries can also help to increase your rankings on Google, but it may take more links comparing to link from your target country. Am I going to experience rankings drops during the link building campaign? I’d like you to know that these jumps of rankings is a natural thing. LinksManagement conducts following situation for 90% of websites: when a website gets high rankings on Google, in most cases in some time (usually in 2-3 weeks) it drops to where it was before or even lower. Those sites that keep getting new links get back to top positions on Google with time. We observe this situation for all websites, including sites of our clients and not, sites that get backlinks using different kind of ways and sites that don’t buy any links at all, but get them in a natural way. Many known SEO experts also often say about that they observe the same thing. We believe that it looks not natural to Google when a website with very low traffic starts to get many backlinks. How is it possible that people start to link to a website if they don’t even visit it? It’s not possible. That’s why we believe that it looks suspicious to Google that a site with low traffic gets quite many backlinks and Google may disregard those links. So for you to achieve high rankings on Google in a safer way and have higher Google Trust Rank, we recommend you to purchase some kind of advertising in addition to your link building campaign so that your website traffic grows along with the number of backlinks, pointing to your website. Google messes up rankings for some percentage of websites each time they release new update. Some websites remove links with time and you lose rankings due to the decrease of the total PR weight. Sometimes Google temporary decreases websites’ rankings to test the activity of the website and at the same time to help new websites appear on Google for a short time. This is how your new site may get in the Top for 2-3 weeks and then lose its rankings (go to where it was before). All of these cases require gradual link building on a constant basis in order for you to successfully get in Top and stay there. When Google sees that your website receives quality links over time, it starts to trust those links. 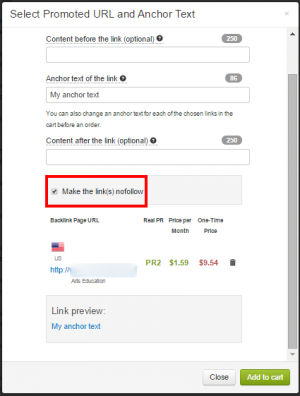 How to choose the best anchor texts for your backlinks? First of all, you need to figure out the keywords, which you’d like to promote (learn how to choose keywords). Then you need to make a competition research in order to find and focus on those keywords, which you can afford. Using our Free SEO Cost Calculator Tool you can find out how many links you need and how much it will cost you to outrank your competitors. When you are confident about your keywords, it is time to come up with multiple anchor texts for your links because you’ll need many of them. Let’s say your name is Bob Johnsons and you own a small real estate company in Portland, OR which is called “Portlandia-Estate”. First of all, find the URL which is optimized for the keyword, which you are trying to increase ranking for. Most likely, you’ll find some vatiations of the anchor text for your link building campaign on this page. Use the URLs of your website pages: http://www.Portlandia-Estate.com/, Portlandia-Estate.com, www.Portlandia-Estate.com, http://www.Portlandia-Estate.com/about, http://www.Portlandia-Estate.com/real_estate_portland_area, etc. Use exact keyword phrase match that you want to promote: real estate in Portland, homes in Portland, apartments in Portland. Use long tail keywords: find real estate in Portland, the best luxury homes in Portland area, rent convenient apartment in downtown of Portland, etc. Use the combination of keyword and brand name: Bob Johnsons real estate agent in Potland, luxury homes by Bob Johnsons, Portlandia-Estate – best homes in Portland area, rent apartment with Portlandia-Estate, etc. Use other words which are relevant to your business and are used on your website or calls to action: mortgage rates, foreclosure properties for free, visit this website, click here to buy property in Portland, learn more on how to choose home. Learn more about Natural Anchor Text Distribution Formula. How to choose the webpage for your links (promoted URL)? It looks more natural when the links are pointed to the different pages of your website. But what is the best way to choose the correct URL for the link with specific anchor text? It helps Google to rank your website better for these keywords. This kind of tactics helps to minimize the amount SEO investment, helps to make your link building campaign more effective and saves money. Learn more about Natural Backlink Profile of your website and Natural Anchor Text Distribution. Can I pay for your links using Credit Card, Skrill, MoneyBookers, WebMoney, Alipay? What links will improve my rankings on Google? It is very important to build links naturally, you can read about making your link building natural here. But it also important to purchase good links. Every SEO company has its own way to consider if the link is qualitative. Google doesn’t like site-wide links. It’s Ok if you have a couple of site-wide links, but the big number of referring domains with such links to your website may lead it to a penalty from Google. on pages with SEOMoz Domain Rank 10 and higher. Learn more. Once you sign up and log in at https://cp.linksmanagement.com, you’ll see the entire inventory along with links prices. What if I don’t like the link that I’ve just purchased? You have 5 days to make a decision if you like the link or not. You can cancel the link within the first 5 days from the moment when it was placed and you’ll automatically get a full refund for this link back to your LinksManagement account. If you cancel the link after 5 days, then the link will be removed, but payment won’t be refunded, so make sure you check the new links within the first 5 days after it was placed by the website owner. How to buy links through ‘Buy Links’ interface? Click Buy button , provide your targeted keyword and the content around it (if needed). After you finished choosing backlink pages for your links, go to Your Cart, check the your project URL and the anchor texts, change them if needed, and confirm the order. How do I purchase links only on highly relevant backlink pages? Learn how to find relevant backlink pages in LinksManagement ‘Buy Links’ inventory. Learn how to choose the best keywords. If after reading this article you’ll still have any questions, please do let us know about them and we will be happy to assist you! How to set the promoted URL (project) and the anchor text for the link? As soon as you push on Buy button in Buy Links interface, the system will ask you to set Promoted URL (project), Text before the link, Anchor text of the link and Text after the link. Just click on the drop-down menu of Promoted URL to add the new URL. Insert the anchor text for the link and the surrounding text. You can also make changes in a cart before the order confirmation. How much time is given to a publisher to place the link? Usually, the links are built within 24 hours. We give maximum 5 days to a publisher to place your link. If the link isn’t placed within 5 days, it will be automatically canceled and you’ll get the full refund for this link. Where will the link be placed on the page: content, sidebar, or footer? It does not really matter for Google where the link is placed. It matters if your link is surrounded with relevant content or not. When purchasing links at LinksManagement you can provide in total 500 characters of relevant text before and after the text link. Also it is important to purchase the link on the webpage which is relevant to your business. Will the links be indexed by Google? Do you mean if the links will be indexed by Goolge or shown in the Google Webmaster Tool? All the links will be indexed, but Google doesn’t show all the links. Google does that because otherwise it should be very easy for SEO experts to manipulate rankings, and Google would be forced to update its algorithms every single day. All the backlink pages at ‘Buy Links’ interface have been indexed by Google. It usually takes 1 week to 1 month for Google to index the links. You can check that by entering a URL of a backlink page to the Google search. Do you really provide DA40-DA100 links? Yes, we do provide DA40-DA100 links. Log in to your client panel at https://cp.linksmanagement.com/ and take a look at numerous high quality backlink pages in our huge list of offers. How long does it take for Google to index your links? It usually takes from 1 week to 1 month to index the link. How can I purchase links which are relevant to my site? How many outbound links are there on the page? You can see the amount of outbound links in the list of backlinks, available in our Backlink Search Interface. Is the payment for a link in a monthly basis? Yes, the links are paid on a monthly basis. Learn why monthly paid links are 6 times more profitable than permanent links in terms of ROI. Are your links dofollow? Do your links include a “nofollow” attribute? Links with “nofollow” attribute, or so called “nofollow links” do not pass the link juice and do not impact Google rankings. We provide dofollow backlinks by default. In some cases, you may need to use “nofollow” attribute to some of your links. • Attract traffic from authority website, which may convert in clients or generate natural links. Then proceed to your cart to confirm the order. Can your service be applied for non-English sites? You can use our service for non-English sites if your keywords do not have diacritical symbols and are spelled in Latin alphabet. If you use non-English website, then we can’t guarantee enough backlink pages in our inventory from the websites with the same language as yours since we’re focused on providing high quality service customers from USA, UK, Canada and Australia. How long does it take to increase rankings on Google? The more competitive your keywords are, the more time it is necessary for you to get ranked on Google. It can take from 1 to 3 months for very low competitive keywords, from 3 to 6 months for middle competitive terms, and from 6 to 9 or even 12 months for high competitive keyword phrases. Most LinksManagement customers achieve the Top 10 rankings on Google on average within 3 to 6 months. How much do your links cost? How to see your inventory? Link prices may vary from $1 to unlimited since they are set by the publishers (website owners). Once you sign up and login at https://cp.linksmanagement.com/, you’ll see the prices for our links. Moreover, you’ll see LinksManagement in action. Can I increase SB Rank of my website using your links? Absolutely. The links provided by LinksManagement can have a drastic impact on your website SB Rank. 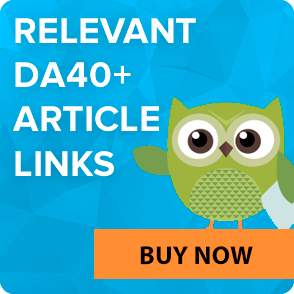 At LinksManagement you can acquire high quality DA40-DA100 links. That’s why if you want to increase your website SB Rank, then links from LinksManagement is just what you need. Does your service work for blogs, Youtube videos, social pages, etc? Can I increase rankings for inner pages of my website? Yes, sure, you can purchase links for your inner pages to increase their rankings on Google as well. One of the most effective ways nowadays how you can increase your website traffic and sales is to get #1 on Google for your targeted keywords – for those, which your potential customers use to find you on Google. To be #1 on Google for some keyword, you need to build or buy backlinks following to your website with this keyword. This is what we do. LinksManagement provides one of the most quality link building services on the Internet. Click here to find out why our service is considered to be one of the best in the SEO industry. Do your links help to increase traffic? By increasing your position for your targeted keywords on Google you will drive more traffic to your website. So as soon as your website reaches the Top 10 on Google, you will experience traffic boost because more and more people will find you using your targeted keywords. Click here to learn more about CTR in Google SERPs by Website Position. With LinksManagement you get links with highest quality from SB1-SB7 pages which will greatly increase your rankings on Google and other search engines. User-friendly interface will help you select the best links from various link offers. You can see every backlink page before you purchase a link there. At LinksManagement you can acquire authority, manually placed backlinks from more than 8 MILLION of DA40-DA100 webpages, hosted in the US, UK, CA, AU, EU and other countries. Since 2006 we have provided a high quality link building services for business owners, marketers, webmasters and SEO companies from around the world. We’ve been providing expert SEO & link building services for more than 10 years and have a long list of success stories from our customers. Learn more about 11 Unique LinksManagement Features. How long do the links I buy stay alive? LinksManagement provides monthly links. These links are paid on a monthly basis and stay alive as long as you pay for them, so you never overpay for the link. If the link gets removed by the website owner for any reason, then we will automatically provide the partial refund for the unused period. Do you guarantee the high quality of your links? Yes, we guarantee the quality of our links. Do you guarantee a full refund for the links canceled within 5 days after purchase? Yes, we guarantee a full refund of your funds used to purchase a link if you cancel this link within 5 days after it was placed. You can cancel the link during guarantee period of 5 days included. All the funds will be returned. We do not pay the publisher for this period if he cancels the link during these 5 days. This mechanism is set so that you could estimate the link if it is selected automatically, and refuse from it if you do not like where the link is placed on the page or the placement format. If the purchased link was not successfully placed within 5 days. If you cancel the purchased link using the option ‘Cancel & remove the link right now!’ within 5 days from the moment when it was placed. You’ll get a partial refund for the unused period if the successfully placed link was removed by the publisher and not recovered within 12 days. Do you guarantee that my rankings will increase on Google? Please be kindly informed that we do NOT guarantee your site rankings increase in search engines since we do not relate to any search engine. At the same time we know about the fact that the links you acquire at LinksManagement positively influence on your site rankings improvement. See the list of all our guarantees. Why link removal is the worst option? First of all I’d like you to notice that it is OK to remove links which haven’t been indexed yet. So if you remove the link within the 72 hours from the moment they were placed, then it is not a big deal. isn’t placed on the harmful website that includes malware. You do not know for sure which links are considered to be not artificial, so by removing links, you risk to lose the valuable PR-weight from other links. This may cause more dramatic decrease in rankings. In most cases the links are NOT the actual reason of rankings drop. The actual reason is covered in how often you purchase new links, if you mix the anchor text, you target the links to different pages of your website, if your link profile looks natural. And as soon as you make the link building profile look natural, Google will start using all the links during calculation of your website rankings, and your position will improve accordingly. Why is it so important to know the difference between keyword and the anchor text? Keyword – this is a word or a short phrase that is used by your clients in the search engines to find your website. The keywords are used during the on-page optimization and during analysis of traffic. The keyword phrases help to come up with anchor text for the backlinks. You can’t use only your keyword phrase while building or purchasing links, otherwise you risk to over-optimize your website and the link building campaign will not look natural to Google and your link building campaign will be less effective in a long run. Learn how to choose keywords. Anchor text – this is a word or a phrase that is used in the link. You provide the anchor text when you purchase the links. Anchor text doesn’t necessarily include the keyword. The anchor texts are created based on keywords, brand name, URLs of the website, calls to actions like “click here” or “visit this website”, names of products and related information. I don’t have enough SEO experience. Can I ask LinksManagement to purchase links for me? Yes, we can do all the SEO for you which includes various SEO services (provided for FREE, you pay only for links) that make your SEO campaign look natural for Google. All you need is to request a dedicated SEO expert for FREE. Learn how to request a dedicated SEO expert to select or even purchase links for you. What should I do increase my rankings on Google? Creation of good content that is interesting to your visitors with low bounce rate. Creation of natural link profile (purchasing or building links which look natural to Google). SB Rank is a recently implemented index to easily rank pages in our inventory system and to precisely estimate the page value. SB Rank is calculated on the basis of PA and DA of the page and is aimed to take the place of PageRank that was lately eliminated by Google. How SB Rank is calculated? SB Rank = (PA + DA/5)/10 – for all the pages which domains aren’t included in Alexa Top 100. If the pages are in Alexa Top 100, SB equals PA of the page. For instance, there’s a page with PA50 and DA80. According to the formula above, the result equals 66. We divide it by 10 and get 6,6. Then we round this number to 7 and this is the SB Rank of this page. If we got 6,4, we would round it to 6. If we got 6,5, we would round it to 7 also. Our SEO experts in LinksManagement derived this formula, as Google eliminated PR, and only PA+DA are not enough to estimate the page value. As DA on its own is not a significant index, we passed a part of domain authority weight to the page itself. Why is it called SB Rank? We called it so in the name of our ScanBacklinks free backlink checker tool & SEO software. How long does it take after purchase for the links to be up on the websites? It takes up to 72 hours to place the links on the pages after it is purchased. If some of the links are not placed on the pages within the given period, then the payment for those links will be automatically refunded back to your LinksManagement balance and you can purchase other links instead. Does LinksManagement automatically monitors my links every 24 hours? Yes. The presence of each active backlink on each webpage is automatically checked by LinksManagement every 24 hours. If any link is not found on the backlink page, the publisher will be immediately notified about this with a request to recover your backlink. If the link is not recovered within 12 days, it will be automatically canceled and payment for this link will be partially refunded to your LinksManagement account. In this case, you get the refund for the number of days which the link was supposed to stay. For instance, if the link wasn’t recovered on the 17th day, then you’ll get the refund for 13 days (30 days – 17 days = 13 days). The number of referring domains – is the number of websites which have backlinks on their webpage(s), pointing to your website. Exact keyword match anchor text is the anchor text that is used in the backlink, pointing to your website, and this anchor text includes only your exact keyword. For example, if your keyword is ‘link building service’ and your website URL is https://www.linksmanagement.com/, then the anchor text ‘link building service‘ is the exact keyword match anchor text. Phrase keyword match anchor text is the anchor text that is used in the backlink, pointing to your website, and this anchor text includes your exact keyword along with some other additional words. For example, if your main keyword is ‘link building service” and your website URL is https://www.linksmanagement.com/, then the anchor text ‘there is the best link building service‘ is a phrase keyword match anchor text. Broad keyword match anchor text is the anchor text that is used in the backlink, pointing to your website, and this anchor text has keyword variations, which include synonyms, singular/plural forms, relevant variants of your keywords, and phrases containing your keywords. Brand name anchor text is the anchor text that is used in the backlink, pointing to your website, and this anchor text includes your website brand name. By a brand name, in this case, we mean your website URL without www. and without .com in the end. For example, if your website URL is https://www.linksmanagement.com/, then your brand name is ‘Linksmanagement’ and a hyper link with the anchor text ‘Linksmanagement‘ is considered as a brand name anchor text. The number of referring domains with URL in the anchor texts – is the number of websites which have backlinks on their webpage(s), pointing to your website, and the anchor text of those backlinks includes your website URL. For example, if your keyword is ‘blue widgets’ and your website URL is https://www.linksmanagement.com/, then such anchor texts as ‘link building service https://www.linksmanagement.com/‘, ‘the best link building service is www.linksmanagement.com‘ or just ‘https://www.linksmanagement.com/‘ are considered as anchor texts with URL. Other keyword anchor text is the anchor text that is used in the backlink, pointing to your website, and this anchor text should include some random text and/or some other keywords, but not your main keyword. For example, if your main keyword is ‘link building service’ and your website URL is https://www.linksmanagement.com/, then your anchor texts should look like this: find link building service, see link building service here, this website is link building service, check out link building service here and like this: click here, check here, more info. I.e. some of your anchor texts should consist of words that people usually use to link to a website – and NOT include your keywords at all). How to sort links by SB Rank, outbound links, or price? How to choose links from the specific country? It is known that links from your country are more effective. You can filter links by country of origin, just check the box in front of the country of your interest on the left side of your Buy Links interface. If there is no country, then you can try to use Filter by URL by typing in the top level domain name that belongs to your country, for instance: “.co.za” or “.nz”. Don’t forget to check the box ‘Other countries’ which includes websites which are hosted in all other countries except US, UK, CA, and AU. How to find your category in Buy Links interface? In order to view links from the specific website category, you need to select it from the list on the left side of Buy Links interface. First of all you need to understand that the really small niches are not represented. But even though, sometimes it becomes tricky to find the desired website category. That’s why we created a search that will help you find the relevant website category. Just enter your keyword that describes your business and the system will offer you the relevant sub-category. If you entered a couple of words and you can’t find your category, then let us know and we will propose you one. Or try using Search by Keyword tab of Buy Links interface. What is placement percentage (placement probability)? LinksManagement team found out a solution that helps to avoid such kind of situations with the links are “denied by site owner”. 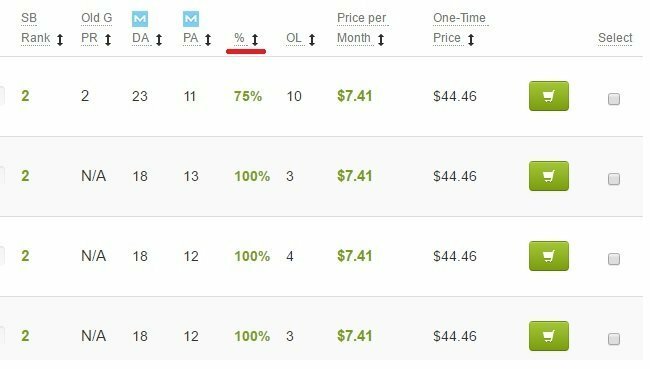 Right next to the PA column in Buy Links interface you may see the new column called Placement Percent which is showing percents of installation for the particular link. For example: Link was sold twice, 1st installation was successful and 2nd was not installed, in this case the Placement Percent for this link will be 50%. If the link with ‘waiting for placement’ status wasn’t placed within the 72 hours, then it changes its status to ‘not placed’ and the funds for the link are automatically refunded back to your LinksManagement balance. If the link with status ‘Waiting for payment’ wasn’t prolong by refilling the balance within 15 days with the amount that allows to prolong the link, then it changes status to ‘cancelled since you didn’t pay for link prolongation’ and the task to remove the link is sent to the publisher. How to view links from the specific website only? Click the green filter button on top ‘Your Links’ interface and choose your project from the drop-down menu. This will allow you to view the links purchased for the specific website of yours. If the publisher denies the task to place the link, then the link changes status to ‘denied by site owner’ and the funds for the link are automatically refunded back to your LinksManagement balance. How to view links with specific SB Rank? Click on the green “Apply Filters” button on top ‘My Links’ interface and choose the SB Rank from the drop-down menu of the “Filter by SB Rank”. This will allow you to view the links from the backlink pages with specific SB Rank. If decide to remove the link, then you have 2 option: to remove it in the end of the billing period or remove the link at right now. If you choose to remove the link in the end of the billing period, then it will change status to ‘Canceled. Will be removed in the end of the paid term’ and will have it until the end of the paid term, then it will change status to ‘Cancelled since you refused from this link’. If the link is not be placed within 72 hours, then you will get a refund for this link. How to view links which were purchased during some period of time? Click the green filter button on top ‘Your Links’ interface and choose the time period of link purchase. How to view links which were purchased with specific anchor text? Click the green filter button on top ‘Your Links’ interface and choose the anchor text of your interest. How to find link by link ID? Sometimes you need to get more information about the link which is shown in your balance. This is when it is handy to find the link by link ID. In order to do this, click the green filter button on top ‘Your Links’ interface and choose the link ID from the drop-down menu. How to view links with specific status (active, cancelled, not placed, etc.)? To see the links with specific, click the green filter button on top ‘Your Links’ interface and choose the status of links which you want to show at ‘Your Links’ interface. You can also see all the links if you choose status “all”. If the active link got broken for any reason and wasn’t recovered within 12 days, then it changes status to ‘not recovered’ and you get an automatic partial refund for unused period. At the moment when the link is supposed to be cancelled, it changes status to ‘Cancelled since you refused from this link’ and the task to remove the link is sent to the publisher. If the link is cancelled within the first 72 hours from the moment when it was built, then you get an automatic refund for the link to your LinksManagement balance. The status “active” is given to all the links which are active at the moment. Exception: If the active link got broken or removed, then it will remain ‘active’ for 5 more days. If the link is not recovered within 72 hours, then we will provide you with partial refund. All active links are checked on the daily basis by LinksManagement automatically. In case if your balance if less than the cost of link, then the link gets the ‘waiting for payment’ status. If the balance is not refilled within the next 15 day, then the link will change status to ‘Canceled since you didn’t pay for its prolongation’. Note: The new uploaded funds are subtracted from your balance automatically and go for the links with ‘waiting for payment’ status. How to cancel or remove the link? To cancel the link, please go to ‘My Links’ interface, find the link that you want to remove and click button in front this link. The system will give you 2 option to remove the link, choose the one you like the most, then confirm that want to remove the link and provide the reason of link removal. If the link removal went fine, then you link should change the status to ‘Cancelled since you refused from this link’ or ‘Canceled. Will be removed in the end of the paid term’. Note: if you cancel the link using the second option ‘Cancel & remove the link right now!’ and the link was active for less than 72 hours, then you’ll get an automatic refund for the link. How to prolong the link? We provide links on the monthly basis. The links are prolonged automatically if you have enough money on your LinksManagement balance. So make sure you always have enough money on your balance. Also we will send you automatic notifications to let you know about low balance, so make sure you are the box ‘Your Purchased Links Status Notifications’ on ‘Your Subscriptions’ tab of your Account Settings. I can’t find the link on the page. What should I do? Click “Enter” button on your keyboard. The browser will highlight your link. Note: There is no need to check the links manually. Our system constantly checks the links automatically. If the link gets removed from the website, then we give 72 hours to a publisher to recover it. If the link is not recovered within 72 hours, then it changes status to not recovered and you also get a refund. Won’t Google put a penalty on me because of paid links? Google cannot distinguish paid links from not paid ones if you follow these rules, otherwise we would not have hundreds of customers who successfully achieve the Top 1 rankings for more and more of their keywords on Google with us every month. Google can only see whether new links, pointing to your site, appear in the natural way or not. Please do follow 11 Factors You Need to Take Into Account to Make Sure Your Campaign Looks Natural. While building your campaign, please make sure that it looks natural to Google and stays in line with these rules for on-page and off-page SEO. Express Checkout is an easy and fast way to pay with PayPal. It is one of the most convenient ways to purchase backlinks. Express Checkout allows buyers to make purchases without logging in to PayPal every time. You’ll be able to just click “Buy” in the cart, and selected links will be purchased. You also won’t lose monthly links since they’ll be paid and prolonged automatically. You can cancel Express Checkout service at any time. How to pay with American Express or Discover? To pay using American Express or Discover, select American Express. Note: We do not store any of your sensitive credit card information on our servers; it stays with our merchant processor, who is authorized by VISA and MC. What Payment Methods Can I Use to Buy Links? 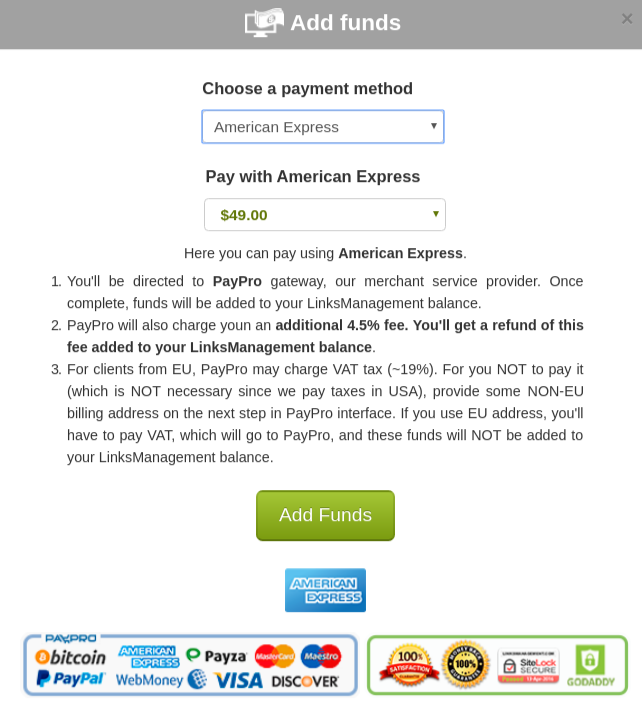 LinksManagement has added more than 72 payment methods that you can use to buy links. Can I see how the link will look like before I purchase it from the cart? Yes, you can see how the link will look like. Find the link in your cart and hover over the button with the eye that looks like this . Can I purchase only some links from the cart? Yes, in the ‘Instant Purchase’ tab of your cart, you can choose the links which you want to purchase now and leave the rest of the links for later. To purchase the links, check the boxes in front of the desired links and click ‘Buy’ button. When the system will start to purchase links from the list for gradual purchase? The system starts to purchase links from the list for gradual purchase after 2 hours from the moment when the last change occurred in the list. So basically, if you want set to build 7 links per week and add 7 links in the queue, then the first link will be purchased in about 2 hours. After a week all the links from the list should be purchased. As soon as it will be done, we will notify you via an email, so you could generate the new list. Note: the delay in 2 hours was done on purpose, so you could remove the link from the list for gradual purchase, in case if the link was added there by mistake. How to remove the link from the cart? Check the box in front of the link and click ‘Delete’ button. How to remove the link from the list for gradual purchase? If you need to remove the link from the list for gradual purchase, then click on the button ‘Transfer to Instant Purchase’. You can remove the link from the cart completely as soon as the link will be transferred to ‘Instant Purchase’ tab. What is the order of link purchase in the list for gradual purchase? The links from the list for gradual purchase are bought randomly what makes the link building campaign look natural for Google. Instant Purchase is one of the options of your cart that allows you to purchase the links right now. You can select all or several links from your cart and purchase them instantly. Though instant purchase doesn’t mean that the links will be placed instantly. The publisher has 72 hours to place the link, but usually the links are placed within 24 hours. Can I change the keyword phrase or add the text before and after the link? Yes, you can change the keyword phrase or add the text before and after the link before you purchase the link. Find the column ‘Keyword’ and click on the button . How to transfer links back to ‘Instant Purchase’ tab? If you need to remove the link from the list for gradual purchase, then click on the button ‘Transfer to Instant Purchase’. Can I add extra links to the list for gradual purchase? You can add links to the list for gradual purchase at any time. The system will just continue to purchase links from ‘Gradual purchase’ tab with the speed which was selected earlier. Can I purchase links using ‘Gradual Purchase’ and ‘Instant Purchase’ at the same time? Yes, you can add links to the list for gradual purchase and purchase some links using ‘Instant Purchase’ tab of your cart. How does LinksManagement make charges? After you create a preapproval agreement, then if you have not enough funds in your LinksManagement account, necessary for links prolongation or new links purchase, LinksManagement will automatically charge your PayPal account for the necessary amount of funds and add them to your LinksManagement account balance. Your active monthly links to be automatically prolonged. Based on all this information, LinksManagement will charge you for the amount that is necessary for all of these links to be prolonged and/or purchased. In your cart you can find the tab ‘Gradual Purchase’. It is used to form the list of links for gradual purchase. Basically you can choose the link building speed and put the links in the list for gradual purchase. The links inside the list will be purchased according to the selected speed. As soon as the link is purchased, the link is removed from the queue and appears in ‘Your Links’ interface with status ‘Waiting for placement’. May I change the webpage where I target the links to (project URL) in my cart before I purchase the link? 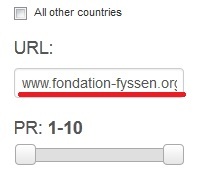 Yes, you can change the page where you target the link to (project URL) before the purchase. Find the column ‘Project URL’ and click on the drop down-menu in from of the link where you want make correction. Can I change the link building speed? You can change the link building speed at any time. Where can I see my referral balance? Available Bonus is funds available for withdrawal. You can spend them for purchasing actual PR1-PR8 links (with 30% bonus) or withdraw them. When the $50 bonus is paid? The referrer will be paid $50 bonus if his/her referral has already upload $100 on his/her LinksManagement account. The referral will also get $50 after 45 days after uploading at least $100. What is the bonus, which I’ll be paid? You will get $50 from each referral, who had uploaded at least $100. Learn more about LinksManagement Refer A Friend Program. Where can I see the clicks statistics of referred traffic? You can see site visits, sign ups and earned bonus in your Referral Statistic. How do I become your referral partner? To become a referrer, you don’t have to pass long surveys or register separate referral accounts. All our registered users can become our referrer partners in two clicks. If you do not have a LinksManagement account yet, then sign up now. Log in to your account and share with your friends the information about Refer A Friend Program.